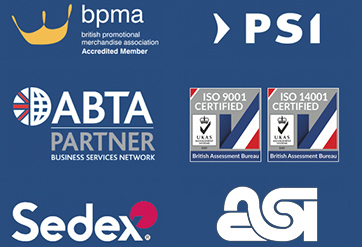 When it comes to promoting your company, there are many different approaches you can take. One of the most effective ways to make a lasting impression is by choosing a personal approach. 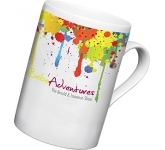 Promotional china mugs are the perfect tool for promoting your brand image in a personal and memorable way. 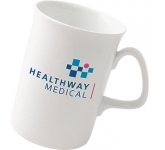 Mugs are usually handed out to clients and prospective clients individually. They are not something that people can grab out of a box like an eraser. This gives you more face time in order to make a subtle pitch or simply smile and make a good impression. 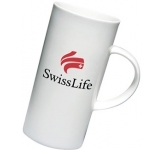 When the recipients are drinking their morning coffee or tea, they will see your logo and have a daily reminder of your companies presence. By putting yourself on their mind at the beginning of each day, this increases the chances that they will turn to you for your product or service as the need arises because your name will be fresh in their memory. 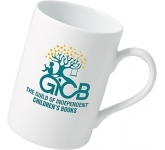 Mugs are also a useful aid for word-of-mouth advertising. 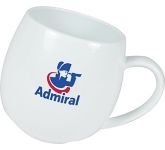 They can be a great conversation starter during a coffee break in the office, for example. 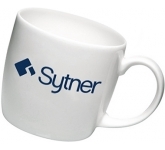 Someone sees your logo on a friend's mug and asks a few questions and the next thing you know, you have a new customer. 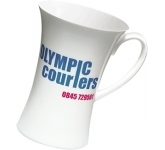 China mugs can also be used as part of a larger scale promotional marketing campaign. 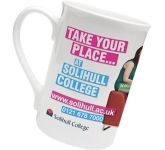 Other branded items can be placed inside of mugs such as pens, erasers, keyrings, and highlighters. 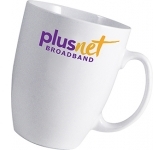 This enables you to go one step beyond what most companies offer as giveaways. 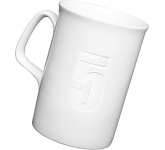 Further, many people use mugs on their desks to hold pens and other utensils. 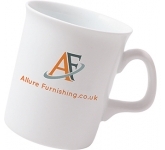 This gives your logo a fixed presence that all who walk past the desk can see. 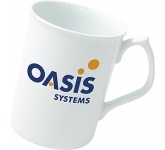 Another great use for these mugs is in meeting rooms. 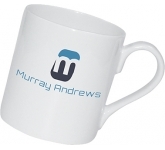 Your organisiation will look very professional by having personalised mugs with your name stationed at each seat at a conference table during a meeting. Line the table with personalised notebooks and pens and you will show all who attend that you are a top notch operation. 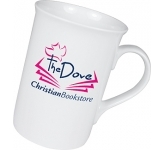 Branded china mugs are very durable and affordable ways to keep your name in a place where people will see it every day. 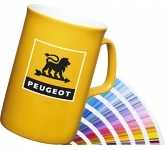 There are many possibilities for promotion with affordable china mugs.